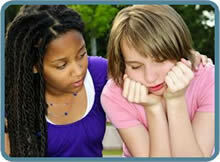 Home » Your Questions: Teens » I’m already a teen mother. How can I have another baby? I’m already a teen mother. How can I have another baby? I’m sure it feels overwhelming to realize you’re having another child while you’re still in your teen years. To be honest, many people find having a second or third child overwhelming, even though they’re at a more-advanced time in their lives. You already know how much work raising a baby can be, and thinking of having another one might seem impossible to you. But let’s slow down a little. This new baby isn’t going to appear in your home tomorrow. By the time this baby is born, your other child will be almost a year older. He or she will be more independent and will actually be your helper. In some ways, having an older brother or sister makes it easier to raise a new baby. The baby has someone to watch and be fascinated with. Your children will have each other to play with. The older one will help teach the younger one. You already have the baby equipment and clothes that you didn’t have the first time around. You also have the advantage of being an experienced mother this time. The anxiety you felt with the first baby won’t be there this time. You’ll feel more relaxed and be able to enjoy this infancy much more. You may feel tempted to consider having an abortion. Other people wouldn’t blame you. They might even encourage you to have one. But ask yourself this: Why didn’t you have an abortion instead of letting your first baby live? It couldn’t have been easy to have that baby – you were even younger then and you were much less-experienced in caring for infants. Look at that little one who’s come to share your life. Do you wish you had made an abortion decision? Raising children is not an easy answer. But it is an answer you can live with, without regret.